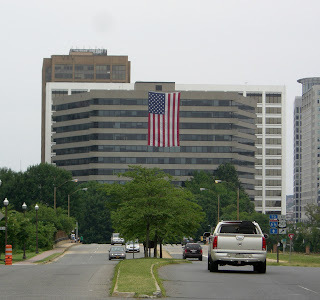 Powerful thunder and lightening rocked Rosslyn and surrounding areas early Sunday morning. About 6pm on Sunday, another storm hit. 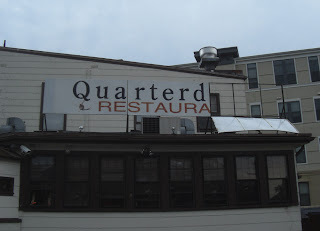 The only causalities in the historic Radnor/Ft. 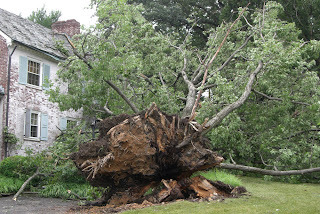 Myer Heights neighborhood was a tree in Ft. Myer Heights Park. It lost a sizable branch. 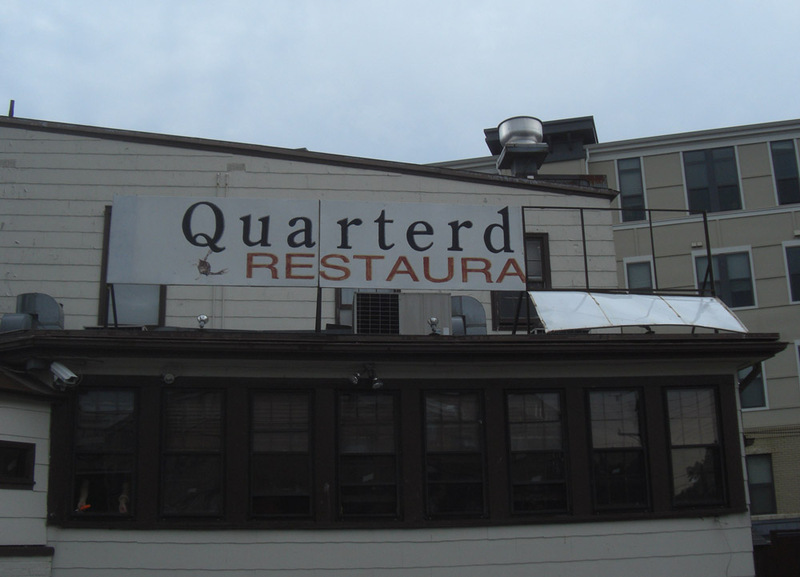 The Quarterdeck's rooftop sign got halved, but not quartered. Power was out in the neighborhood from about 6:30 pm on the 3rd to 1 am on the 4th. Comcast service was out as of 11:16am on the 4th. Given the critical importance of the Radnor/Ft. Myer Heights neighbor to 4th of July celebrations, the region is fortunate that damage wasn't worse. 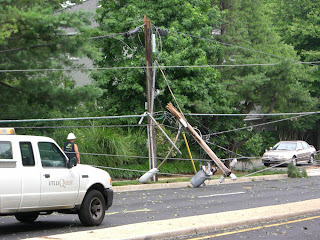 Unfortunately, northwest Arlington in the region of N. Glebe Rd. and Old Dominion Rd. got hit hard. A section of N. Glebe road between Old Dominion and Chain Bridge Rd. was closed as of 1 pm today. The storm toppled many large trees, and some hit power lines. Power is still out for some persons in that area. Comments at Arlnow provide additional first-hand reporting. The U.S. had survived through many difficult situations. 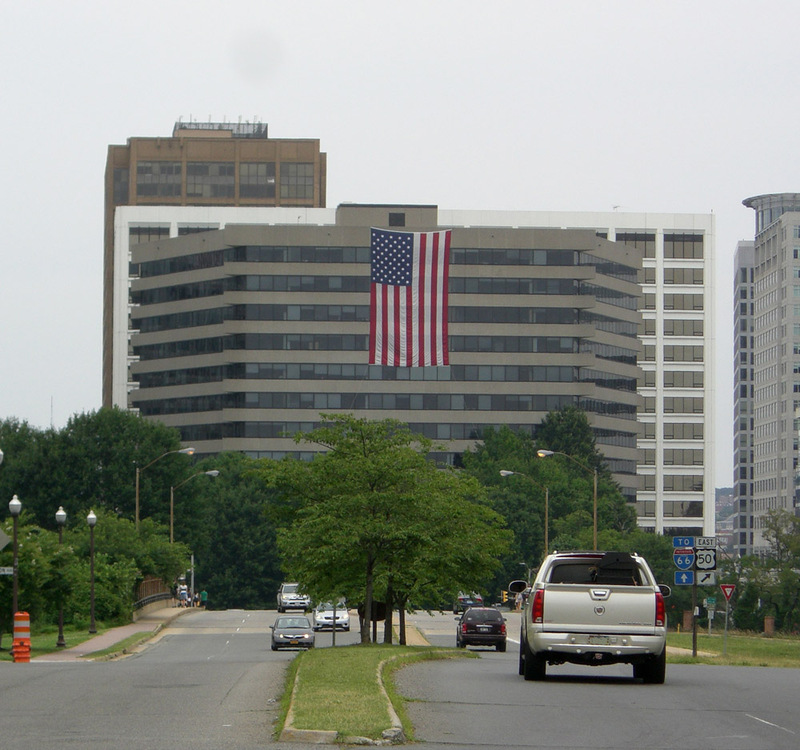 On this sweltering 4th of July, no power means no air-conditioning and no fans. For those without power this 4th of July, remember Mamie Bell Mackley Brown!